The Liang Seah street stretch is starting to look like hotpot central and at really good prices too – catering to the younger crowd that plies this area. Xian de Lai looks interesting enough and busy, and with just one hour for dinner (we were heading to a play), we made a quick decision to check this out. The restaurant serves a hotpot that offers two soup options: regular and mala (spicy and tongue numbing). 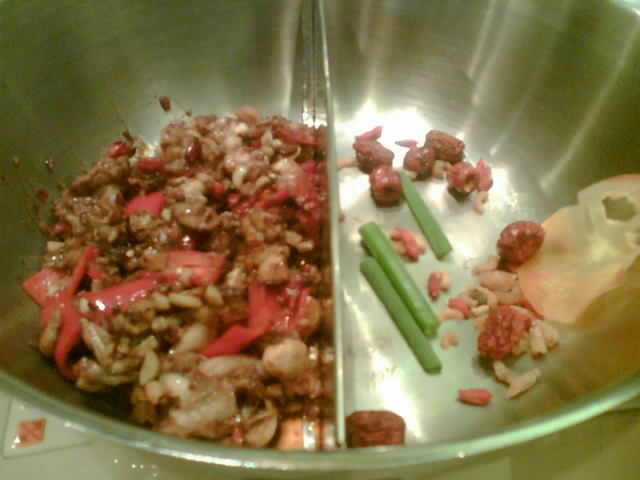 But prior to filling it with the stock, it served a base of kung pao frog legs, a dish spiced up with dried chillies. The mala soup was added after we were done picking at all the tiny pieces. This was followed by an all you can eat selection. 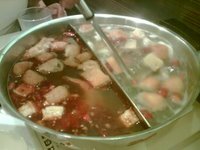 You can take your pick from a variety of dumplings, vegetables, meat slices, tofu, etc, to cook in the soup. 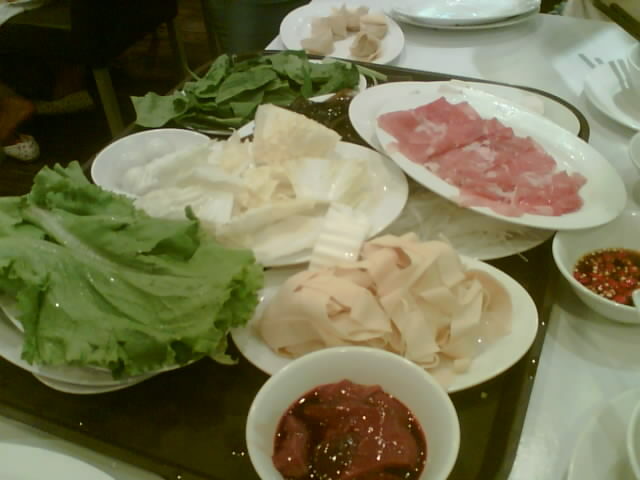 Our favs from the menu were the different dumplings, frozen tofu, and selection of other soy products. Not too bad a deal at S$18 / US$10.60 per person. 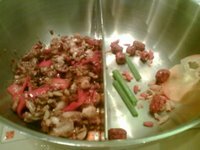 The dips were rather standard though – cut chillies in soy sauce and a fresh chilli sauce, unlike those special mixes that I have come to expect of hotpot restaurants like Xiao Ping in Chinatown.